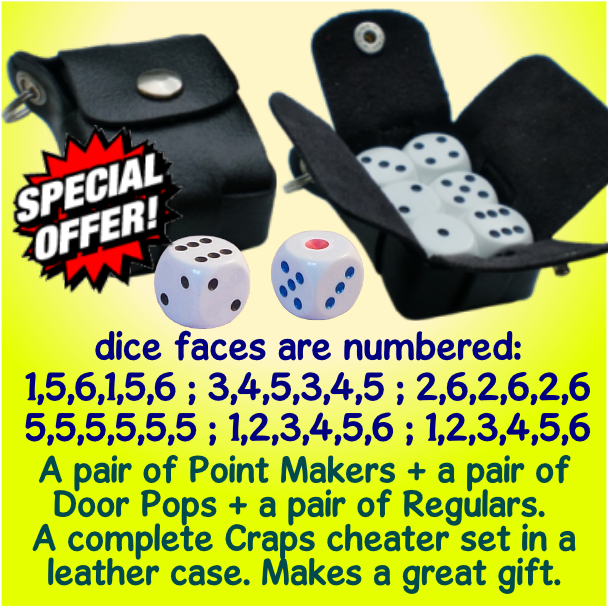 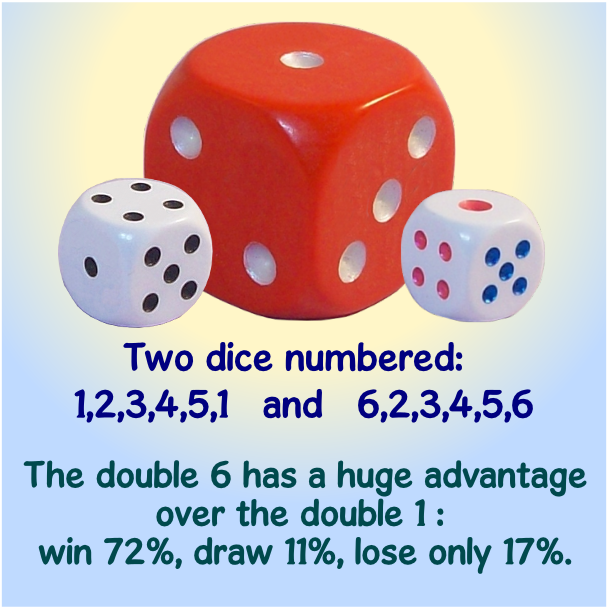 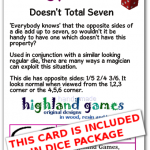 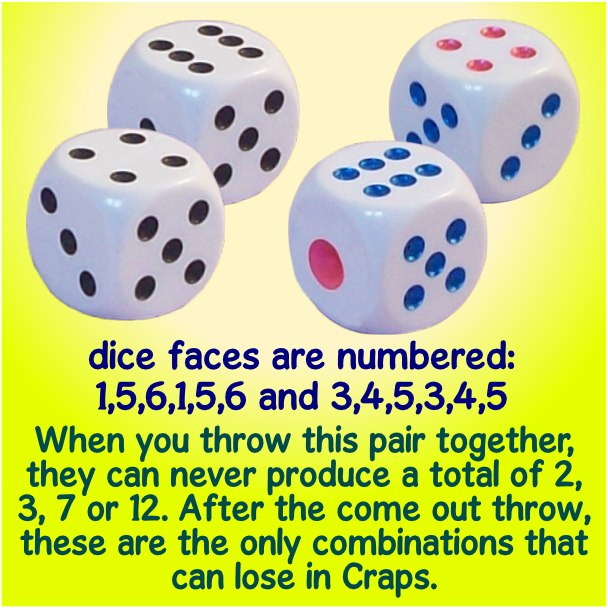 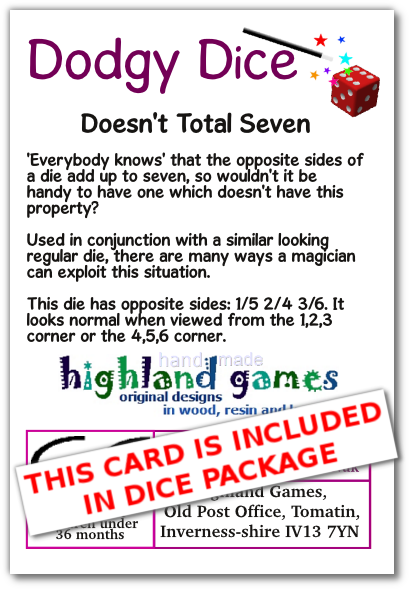 ‘Everybody knows’ that the opposite sides of a die add up to seven, so wouldn’t it be handy to have one that doesn’t? 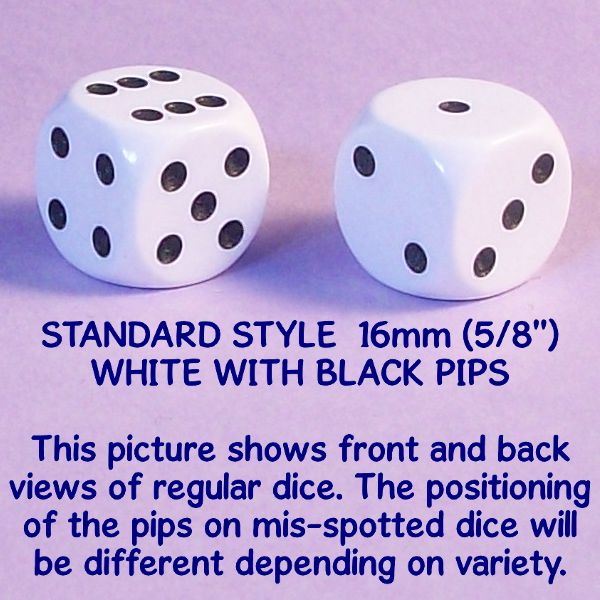 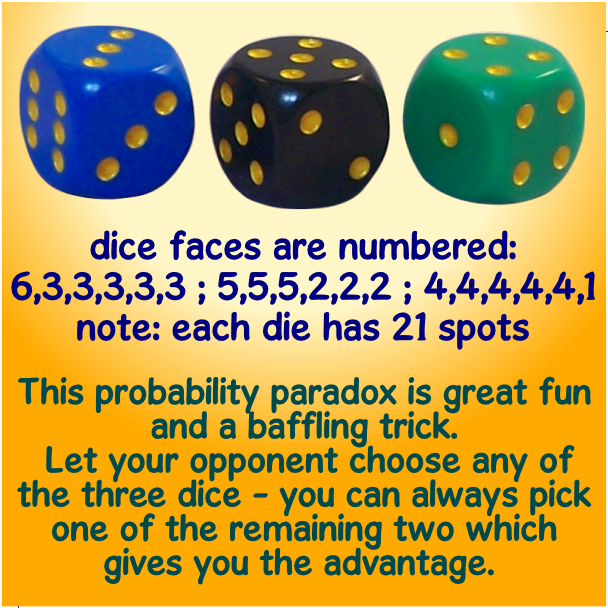 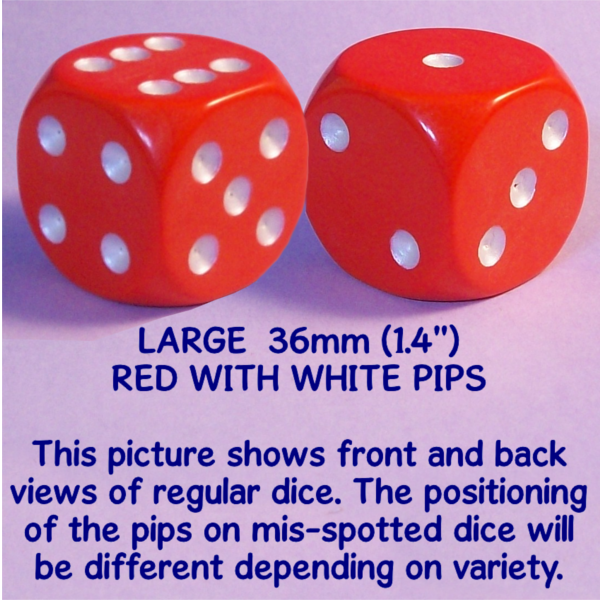 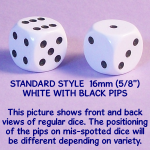 Used in conjunction with a similar looking regular dice (available elsewhere on this site), there are many ways a magician can exploit this situation. 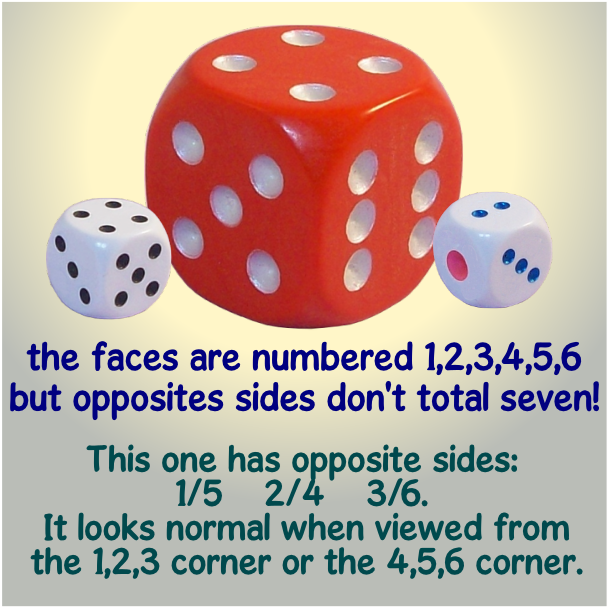 This one has opposite sides: 1/5 ; 2/4 ; 3/6. 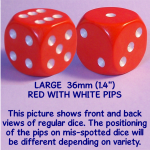 It looks normal when viewed from the 1,2,3 corner or the 4,5,6 corner.